Starting in the New Year, Ferruccio Luppi, CEO of Azimut|Benetti Group, will also serve as CEO of the "Yachts" Business line of Azimut|Benetti Group, taking over from Paolo Casani who is leaving the company to pursue other professional opportunities. Ferruccio Luppi will also continue to act as CEO of the Azimut|Benetti Group. Azimut Yachts has a special reason to toast the New Year. The company based in Avigliana, Italy opens the year 2014 with two prizes at the 2014 Motor Boat Awards, a contest organised by authoritative British magazines Motor Boat and Yachting and Motor Boats Monthly. Azimut 80 won the award in the ‘Flybridge over 55 feet’ category, while Azimut Atlantis 34 won in the ‘Sportcruiser up to 45 feet’ category. The prestigious awards were officially presented on the occasion of the London Boat Show on January 6 by a panel of judges including the magazines’ editors and experienced boat testers on the basis of the results of tests conducted at sea with the vessels over the past twelve months and published in the magazines. The finalists in each of the nine categories were required to undergo rigorous, thorough testing procedures before the judges made their final decisions. Fine days of exhibition at the boot in Düsseldorf and nine days with a very full program at the both the sailing and motor yachts stands from Bavaria. On this year's boot from the 18th to the 26th of January, Bavaria displays its whole range of products of sailing and motor yachts and the efforts have all been worthwhile. At every stage of the exhibition the visitors showed great interest in the Bavaria yachts between 29 and 56 feet. And even more pleasantly quite a number sales could be immediately achieved. A total of 20 Bavaria dealers from 12 different nations were in action at the boot, resulting a very international audience on both stands of the shipyard from Giebelstadt. Of one of the longest journeys from our dealerships was had by Paulo C. Pimentel Duarte, the Bavaria dealer from Sao Paulo who also met several Brazilian customers in Düsseldorf. All sailing yachts sold for delivery in Brazil have already completed a transatlantic passage to get to their destination. 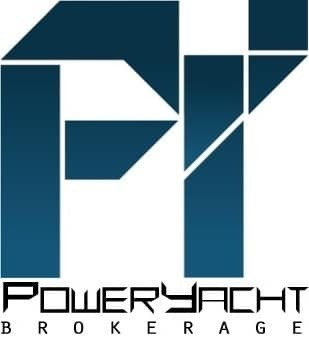 Were all motor and sailing yachts presented at the boot in Dusseldorf? No, not all. The latest new model, the Bavaria Easy 9.7 was conceived only shortly before the exhibition but can still be ordered by customers. Occasionally it became very tight for space on the Bavaria motorboats stands in hall 4 during the 45th boot in Düsseldorf. Particularly on both week-ends of exhibition the visitors had to take waiting periods if they wanted to visit the motor yachts of Bavaria. But it was for many prospective customers not only about seeing the motor yachts, they had also concrete questions to ask the Bavaria sales team. Topics such as the new joystick control system for berthing, to the economic efficiency of the Volvo Penta engines up to the details of the new Highline edition. For some of the 16 yachts which were presented in Düsseldorf the journey continues to Turkey where in Istanbul the next exhibition is awaiting them. Oceanic Yachts the exciting new line of yachts built by Cantiere Navale di Ostia – Canados has the pleasure to announce that hull #1 of Oceanic Yachts 90' has been sold. The first Oceanic 90 in its standard version has already been sold and is due to be delivered in June 2014. Fairline Boats has enjoyed a very successful 2014 London Boat Show, with strong forward sales across the range. The leading British luxury boat brand exhibited nine models at its stand, including Fairline’s striking new 48ft models, as well as an exciting all-new concept boat. Highlights of the show included the launch of the third model in Fairline’s 48ft range the Targa Gran Turismo, which was displayed alongside the Squadron 48 and the Targa 48 Open. Fairline also celebrated a major milestone at the show with the launch of its 100th Squadron 78 model, one of the brand’s most successful and iconic luxury motor yachts. A new feature of the stand, Fairline’s Concept Cinema, gave customers, show visitors and industry guests a glimpse of the future of motor boating with the Fairline Esprit concept boat. The concept incorporates sustainable materials in construction and design, without compromising Fairline’s class-leading styling and performance. The new-look Fairline stand also featured a hospitality area, where guests were invited to relax and enjoy a drink. Fairline Boats is pleased to announce the appointment of a new authorised dealer in Herzliya, Israel. Maoz.net, trading as Fairline Israel, will operate from its offices in Herzliya Marina on the Eastern Mediterranean coast. The announcement is part of the luxury boat brand’s continued commitment to building its worldwide dealer network in 2014. Ideally located, Herzliya Marina is a short cruising distance from the beautiful bays of Turkey and the picturesque Greek islands and is close to some of Israel’s most popular destinations such as Tel Aviv. Established in 1994 by Yehuda Maoz, Maoz.net originally specialised in operating worldwide business jet flights from Israel. A passionate sailor, as well as an experienced jet pilot, Yehuda expanded the business into the marine industry in 2007. Ferretti Group, one of the global leaders in the design, construction and sales of luxury motor yachts, with a unique portfolio of prestigious brands that are among the most exclusive in the world boating industry, today announces that Italo Valenti is to be the Group's new Chief Financial Officer. Valenti's appointment is part of a project to further grow and develop the Group on a worldwide level, by contributing to further reinforcement of the managerial structure. Italo Valenti, 49, graduated in Economics from Bocconi University in Milan. His career path included roles of increasing responsibility in major multinationals such as ABB and Beretta, before taking on the role of Chief Financial Officer at Ferrari in 2009. Valenti will report directly to Ferruccio Rossi, Chief Executive Officer of the Ferretti Group. The United Arab Emirates has been named among the world’s Top 10 superyacht-building nations in the recently released 2014 Global Order Book, a report issued annually by the Boat International Group. The UAE claimed the 9th place with 18 yachts over 24m currently under construction in the country. Enabling the UAE to sail into this prestigious listing as the manufacturer of 15 of the country’s 18 superyachts currently on order, is UAE-based yacht builder Gulf Craft. Gulf Craft also clinched a top 10 ranking among the world’s superyacht-building shipyards, moving up to the 10th position from its previous ranking of 17th. Today Gulf Craft has a wider superyacht product offering than ever before in the company’s history with eight different models available between 24m and 50m. The company has made significant investments in recent years in the development of its facilities and know-how which has grown global appreciation of the high standards of quality and innovation evident in its superyachts. As a builder of made-to-order luxury vessels, it’s the personalized approach and flexibility brought to each individual build that has helped put Gulf Craft and the UAE on the superyacht building map, enabling it to far outperform its peers as well as grow its brand equity in mature international yachting markets such as Europe. According to the 2014 Global Order Book, this is the first time since the record year of 2009 (when 1,008 new orders were recorded), that the number of new build yacht projects globally has been higher than that of the previous year. This year’s Global Order Book reveals that 735 new yachts are under construction or on order, a 6.2 percent increase over the 692 projects in the 2013 Order Book. The publication termed the reversal of a decreasing trend of superyacht orders that lasted four years as “certainly good news” for the industry. Gulf Craft, one of the world’s top 10 superyacht building shipyards, said the time is right to be in the superyacht business in Europe. The statement was made at the recently concluded Düsseldorf International Boat Show, which took place at Messeplatz, Dusseldorf, Germany. In the last few years the company has seen its presence in the superyacht sector grow considerably, especially in Europe. Gulf Craft has cemented its international superyacht credentials in the past year with the delivery of six yachts above 30mt, three of which have been above 35m and three delivered to Europe. The company’s European growth in recent years has largely been driven by superyacht orders. Boot Dusseldorf is one of the world's premier annual boat shows and has been running for 45 years. The show welcomed close to 80,000 visitors in its opening weekend of 2014 and attracted 1,650 exhibitors from 60 countries. Boothbay Region Boatyard will continue to provide maintenance and repair service to vessels ranging from outboard motorboats to yachts up to 80 feet. 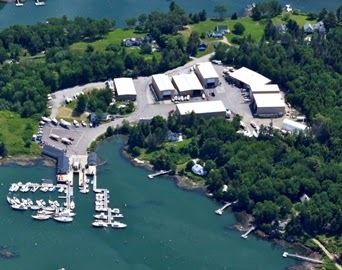 After the combination of the two businesses and the addition of approximately thirty employees at Boothbay Region Boatyard, Hodgdon will employ about 150 people in the Boothbay region. ShowBoats International Magazine recently released their 2014 Global Order Book, which provides an in-depth look at international yacht activity each year, and Horizon is pleased to announce that we are number 5 in the list of Top 20 Custom Builders. With a total of 1686 feet in length built this year, Horizon also ranked number 11 in the list of Top 20 Builders by length, and Taiwan came in at number six in the Top 10 Builder Nations, showing increased activity by 32.4% in our home country. 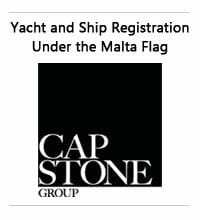 The Global Order Book reflects the growth we have seen in the past few years since the economic crisis, with motor yacht orders taking up the largest sector and expedition yachts coming in second, and we are confident that this growth, for both the yachting industry and Horizon, will continue into 2014. Chad recently joined Jarrett Bay as a Product Design Engineer. Working directly with Gary Davis, Chad helps design and document all aspects of the custom build process. Prior to joining our family, Chad spent over 20 years at Hatteras Yachts in product development, designing new boats and working with customers on their custom design dreams. He brings 18 years of CAD experience and expert hands-on knowledge of the boat building process. In addition to his boat building experiences, he earned a degree in Furniture Design from Virginia Commonwealth University, and ran his own furniture design business for over a dozen years. Chad lives in Morehead City with his wife Amy. He has three grown children and a growing family. He enjoys being on and near the water whether he is fishing, stand-up paddle boarding, or out on his boat. Following a period of maternity leave, Dorien Bilterijst has returned to her role as communication manager at Moonen Shipyards in the Netherlands. Sabine Joppe, who has carried out all her duties with aplomb over recent months, has now moved onto a new challenge. 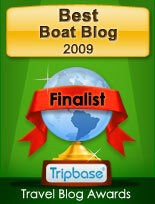 Outer Reef 700 wins Motorboat of the Year. On handling the awatd to Ooter Reef Hugo Andreae editor of Motorboat and Yachting said that 700 does everything a World class trawler should and matches it with a build quality and high customisation. Leading motor boat builders, Sealine International, are delighted to announce that they have appointed award winning international designer Bill Dixon to work with their in house design team in creating of a new range of innovative Sealine models. The first of these will be launched in the autumn of 2014. As a young naval architect working for Angus Primrose Design in the early 1980s, Bill Dixon faced a significant challenge to keep things going following Primrose's untimely death at sea. Some 30 years later Bill now heads a leading international studio with an impressive range of credits to its name including yachts for production boat builders such as Moody as well as major custom sail and motor yacht projects built at shipyards throughout the world. His studio is based at Swanwick near Southampton and Bill is still very much a hands-on designer. Sea Ray is pleased to announce its new partnership with American Boat Center as the Sea Ray dealer for the Knoxville area. Founded in 1987 by Steve and Susan Moore, American Boat Center is recognized for industry expertise and superior customer care. Housing one of the largest indoor show rooms in the southeast, American Boat Center is conveniently located in West Knoxville, just a short distance from both Sea Ray’s headquarters in downtown Knoxville and the Tellico Lake facility, where Sea Ray sport boats are built. In addition to its wide selection from the Sea Ray line-up, American Boat Center also features The Wake Shop, a comprehensive pro shop that carries a huge inventory of wakeboards, skis and other equipment and apparel—everything to ensure your time on the water is perfect. The impressive Sunseeker San Remo has won the ‘Best Sportscruiser over 45ft’ category in the prestigious Motor Boat Awards 2014. 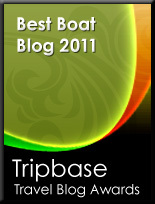 The highly respected Motor Boat Awards bring together marine business leaders to celebrate the best of the best from the motorboating world. Sunseeker beat off competition from all major boat manufacturers to claim the coveted Sportscruiser over 45ft award. Every detail of the San Remo has been planned to perfection, but its hidden treasure is the feeling of space and style throughout, from the exquisite owner’s stateroom right through to the galley and onto the upper deck. The generous main saloon area, consisting of stunning curved seating, is equipped with all the usual amenities you would expect from a cruiser of this size. But its light interior, combined with roof skylights and hull-side windows, transform the living space with floods of natural light. The team at Sunseeker are the finest boat builders and designers in the world, but they also have hidden talents! On the evening of Thursday 9th January 2014 at London Boat Show a select few of the most musically talented Sunseeker staff will take to the stage to entertain guests and visitors to raise money for breast cancer clinical trials. The ‘Sunseeker Renegades’ will make their world debut on the London stage and will be joined by the talented Jodie Elms, alongside Elle and the Pocket Belles, who officially opened the Sunseeker stand with James Corden on Saturday. The Sunseeker band first formed following company-wide auditions earlier in the year and have been practising relentlessly in preparation for their first gig at London Boat Show.The exclusive event is set to be the talk of the Boat Show for years to come. Angler extraordinaire, Martha Macnab, of Balboa Island, California, has been conferred by The Billfish Foundation with two prestigious awards for her accomplishments in 2013. Martha was recognized as the Top Overall Lady Tagging Angler and the Top Tagging Angler, Pacific Striped Marlin. Founded in 1986 to promote the world wide conservation of billfish, The Billfish Foundation's Tagging Program, which began in 1990, is the largest in the world. Congratulations Martha and the crew aboard your Viking 61, Retriever.